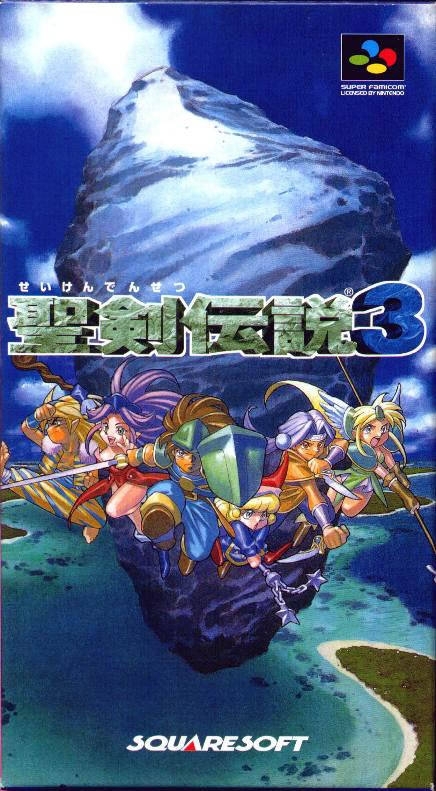 Seiken Densetsu 3 is an Action Role-Playing game, developed by SquareSoft and published by Square Enix, which was released in Japan in 1995. Its a good game, but imo SoM had a much better battle system. 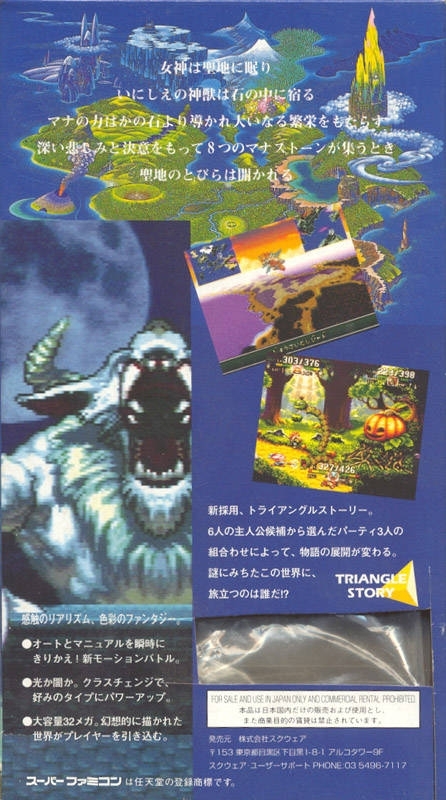 the game is about the best looking on the snes.. even better than terranigma.. the gameplay is about as great as part 1 ..too bad i couldnt never beat the final boss .-. Didn`t like it. SOM much better.